Jah Wurzel appeared only once, covering Wuthering Heights for the compilation album 'Hybrid Kids: A Collection Of Classic Mutants' (1979). 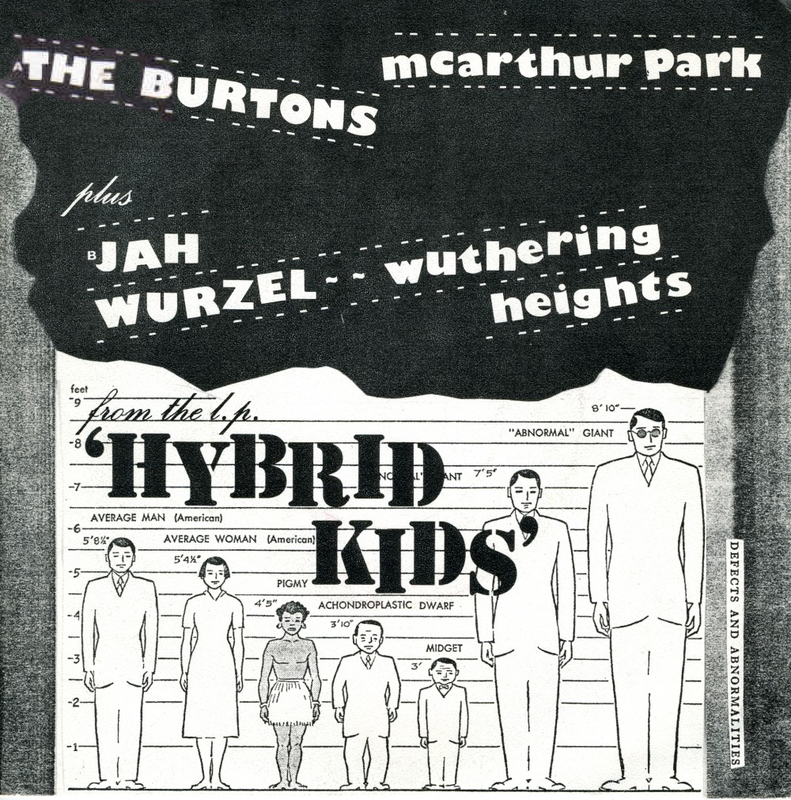 Together with another track from the album, a cover version of 'McArthur Park' by The Burtons, the track appeared as a single. Both tracks were recorded and produced by Morgan Fisher, an English keyboardist and composer, born in London on 1 January 1950 (ex-Love Affair and ex-Mott The Hoople). In 1980, he also released 'Hybrid Kids - Claws: The Christmas Album'. Morgan Fisher. Wikipedia, retrieved 25 September 2018.